In this article we have based on the laws of physics to illustrate the enigma time as creating our physical space (i.e., the universe). We have shown that without time there would be no physical substances, no space and no life. In reference to Einstein’s energy equation, we see that energy and mass can be traded, and every mass can be treated as an Energy Reservoir. We have further shown that physical space cannot be embedded in absolute empty space and cannot have any absolute empty subspace in it. Since all physical substances existed with time, our cosmos is created by time and every substance including our universe is coexisted with time. Although time initiates the creation, it is the physical substances which presented to us the existence of time. We are not alone with almost absolute certainty. Someday we may find a right planet, once upon a time, had harbored a civilization for a short period of light years. © Anita Publications. All rights reserved. 1. Einstein A, Relativity, the Special and General Theory, (Crown Publishers, New York), 1961. 2. Yu F T S, Gravitation and Radiation, Asian J Phys, 25(2016)789-795. 3. Kraus J D, Electro-Magnetics, (McGraw-Hill Book Company, Inc. New York), p370, 1953. 4. Bartrusiok M, Black Hole, (Yale University Press, New Haven, CT), 2015. 5. Abell G O, Morrison D, Wolff S C, Exploration of the Universe, 5th edn, (Saunders College Publishing, New York), pp47-88, 1987. 6. Yu F T S, Science and the Myth of Information, Asian J Phys, 24(2015)1823-1836. 7. Yu F T S, Optics and Information Theory, (Wiley-Interscience, New York), 1976. 8. Amendola L, Tsujikawa S, Dark Energy: Theory and Observation, (Cambridge University Press, Cambridge, UK), 2010. 9. Bertone G (Ed), Particle Dark Matter: Observation, Model and Search, (Cambridge University Press, Cambridge, UK), 2010. Publishing Co., Princeton, NJ), 2011. 11. Bennett J O, Donahue M O, Voit M, Schneider N, The Cosmic Perspective Fundamentals, (Addison Wesley Publishing Co, Cambridge, MA), 2015. 12. Zimmerman R, The Universe in a Mirror: The Saga of the Hubble Space Telescope, (Princeton Press, NJ), 2016. 13. Yu FTS, Time, Space, Information and Life, Asian J Phys, 24(2015)217-223. One of the key challenges in the design of a fibre optics system that degrades the system performance is the presence of bending, which should be carefully considered to ensure a reduction of losses in order to further increase the total carrying capacity. In this work, we present numerical simulations to examine bending loss in a newly designed high-capacity fibre with a large-core diameter of 200 μm and graded index profile (GI200 fibre) supporting a multiplicity of communication channels at a wavelength of 1.55 μm. In addition, we investigate the effect of bending on the periodic reconstruction phenomenon when four input channels are multiplexed into both a single bend and multiple bends of fibre under various bending conditions. © Anita Publications. All rights reserved. Keywords: Graded refractive-index profile; spatial diversity; bending loss. 1. Richardson D J, Fini J M, Nelson L E, Nature Photonics, 7(2013)354-362. 2. Mizuno T, Takara H, Sano A, Miyamoto Y, J. of Lightwave Technology, 34(2016)582-592. 3. Senior J M,Optical fiber communications: principles and practice, 3rdEdn, (Prentice Hall, New York), 1979. 4. Sangeetha N, Santhiya J, Sofia M,International J. of Advanced Research in Computer and Communication Engineering, 4(2015)488-491. 5. DonlagicD, Opt Express, 17(2009)22081-22095. 6. Traylor H F, J. of Lightwave Technology, LT-2(1984)617-628. 7. Knudsen B E, Glickman R D, Stallman K J, Maswadi S, Chew B H, Beiko D T, Denstedt J D, Teichman J M, J. of Endourol, 19(2005)1092-1097. 8. LagakosN, Cole J H,ApplOptics, 19(1980)3265-3267. 9. Semenkoff M, Optics and Lasers in Engineering, 17(1992)179-186. 10. Wright O, Largeau D, J. Phys. E: Sci. Instrum, 20(1987)46-51. 11. Donlagic D, CulshawB, J. Lightwave Technol, 17(1999)1856-1868. 12. Watekar P R, Ju S, Han W T, Opt Express, 17(2009)10350-10363. 13. Watekar P R, Ju S, Han W T, Opt Express, 16(2008)1180-1185. 14. Marcuse D, J. Opt. Soc. Am. 66(1976)216-220. 16. Donlagic D, CulshawB, J. of Lightwave Technology, 18(2000)334-342. 17. Gambling W A, The transactions of the IECE of Japan, E 61(1978)196-201. 18. Gambling W A, Matsumura H, Ragdale C M, Sammut R A,Microwaves, Optics and Acoustics, 2(1978)134-140. 19. Mendlovic D, Ozaktas H M, J.Opt.Soc.Am.A, 10(1993)1875-1881. 20. Mendlovic D, Ozaktas H M, J.Opt.Soc.Am.A, 10(1993)2522-2531. 21. Silva S, Pachon E G P, Franco M A R, Hayashi J G, Malcat F X, Frazao O, Jorge P, Cordeiro C M B, Appl Optics, 51(2012)3236-3242. Recent studies have shown that fringe-adjusted joint transform correlation (FJTC) can be effectively applied for single class and even multiclass object detection in hyperspectral imagery (HSI). However, directly utilizing FJTC based techniques for HSI processing may not be efficient due to the fact that HSI may contain a large volume of data redundancy. Therefore, incorporating dimensionality reduction (DR) methods prior to the object detection procedure is suggested. In this paper, we combine several DRs individually with class-associative spectral FJTC (CSFJTC), and then compare their performance on single class and multiclass object detection tasks using a real-world hyperspectral data set. Test results show that the CSFJTC with denoising autoencoder provides superior performance compared to the alternate methods for detecting few dissimilar patterns in the scene. © Anita Publications. All rights reserved. 1. Kruse F A, Lefkoff A B,J. Boardman W, Heidebrecht K B, Shapiro A T, Barloon P J,Goetz A F H, Remote Sens Environ, 44(1993)145-163. 2. Alam M S, OchilovS , Appl Opt, 44 (2010) 18. 3. Sidike P, Asari V J. Alam M S, IEEE Trans Geosci Remote Sens, 54(2016) 1196-1208;doi: 10.1109/TGRS.2015.2476480. 6. Vilardy J. M., Millán M. S., Pérez-Cabré E. Optics and Lasers in Engineering, 89 (2017) 88. 7. Sidike P., Alam M. S., Cui C., Asari V. K., IEEE Proc. of Intl. Conf. on Adv. in Electrical Engineering, (2013) 425. 8. Yu F. T. S., Song Q W, Cheng Y S, Gregory D A, Appl. Opt., 29 (1990) 225. 9. Javidi B., Kuo C, Appl. Opt., 27 (1988) 663. 10. Yu F. T. S., Li C, Yin S, Opt. Eng., 37 (1) (1998) 52. 11. Tang Q, Javidi B, Appl. Opt., 32 (1993) 5079. 12. Johnson F. T. J., Barnes T H, Eiju T, Haskell T G, Matsuda K, Opt. Eng., 30 (12) (1991) 1947. 13. Alam M. S., Karim M A, Appl. Opt., 32(1993) 4344. 14. Sidike P, Alam M S, Opt. Eng., 52(2013) 103108. 15. Sidike P, Aspiras T, Asari V K, Alam M S, Proc. SPIE: Optical Pattern Recognition Xxv, 9094(2014) 90940F. 16. Sidike P, Asari V K, Alam M S, Proc. SPIE: Image Processing: Machine Vision Appli. Vii, 9024 (2014) 90240C. 17. Cherri A K, Alam M S, Appl. Opt. 40(2001)1216. 18. Sakla A., Sakla W., Alam M. S., Appl. Opt. 50(2011)5545. 19. Sidike P., Alam M. S., SPIE Proc. of Conf. Defense, Security, and Sensing, (2013) 87480T. 20. Sidike P., Chen C., Asari A., Xu Y., Li W., IEEE Proc. of WISPERS, (2016). 21. Li W., Chen C., Su H. J., Du. Q., IEEE Trans. Geosci. Remote Sens., 30(2015) 3681. 22. Alam M. S., Karim M A, Opt. Eng., 33(1994) 1610. 23. Pearson K, Philiosophical Magazine, 2(1901) 559. 24. Tipping M. E., Bishop C. M., Journal of the Royal Statistical Society: Series B, 61 (1999) 611. 25. Vincent P., Larochelle H., Bengio Y., and Manzagol P.-A., In Proc. of the International Conference on Machine Learning, (2008)1096. 26. Spearman C., American Journal of Psychology, 15(1904) 206. 28. Maaten L.J.P. van der, Postma E.O., and Herik H.J. van den., Tilburg University Technical Report, TiCC-TR 2009-005, (2009). 1Department of Computer Engineering, College of IT, University of Bahrain, Sakheer, P.O Box 32038 Bahrain. 2Department of Electrical & Computer Engineering, University of Dayton, Dayton, OH 45469 USA. Boundary extraction for object region segmentation is one of the most challenging tasks in image processing and computer vision areas. The complexity of large variations in the appearance of the object and the background in a typical image causes the performance degradation of existing segmentation algorithms. Active Contour Models (ACMs) has been utilized broadly for segmentation. This paper presents a survey of different ACMs for segmentation including edge-based ACM, level-set based ACM, active contours with prior information, active contour segmentation with neural networks, and the lattice Boltzmann active contours. Exploiting the combined computational capacity and energy minimization ability of the ACMs, they are efficient with lower computational time. © Anita Publications. All rights reserved. Keywords: Active contour models, parametric active contours, geometric active contours, level-set function, self-organizing maps, lattice Boltzmann method. 1. M. Kass, A.Witkin, and D. Terzopoulos, “Snakes: active contour models,” International Journal of Computer Vision, vol. 1, no. 4, pp. 321–331, 1988. 2. Blake A, Isard M, Active Shape Models, (Springer), 1998. 3. Zhang K, Song H, Zhang L, “Active contours driven by local image fitting energy, Pattern Recognition, 43, no. 4(2010) 1199-1206. 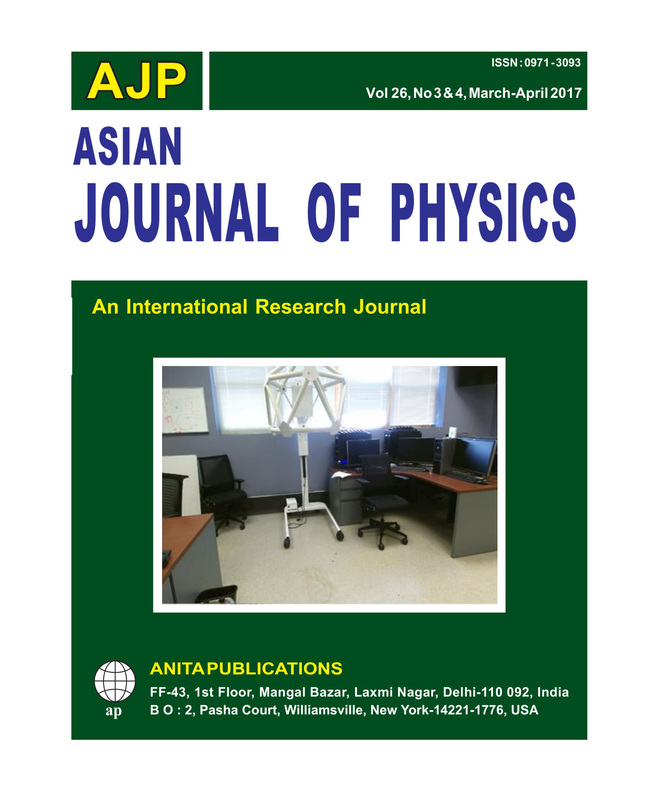 JOURNAL OF COMPUTATIONAL PHYSICS, vol. 79, no. 1, pp. 12–49, 1988. 5. T. F. Chan and L. A. Vese, “Active contours without edges,” Image Processing, IEEE Transactions on, vol. 10, no. 2, pp. 266–277, 2001. 6. H. G. Lee and J. Kim, “ Regularized Dirac delta functions for phase field models,” International Journal for Numerical Methods in Engineering, vol. 91, no. 3, pp. 269–288, 2012.
vol. 27, no. 5, pp. 663–680, 1998. 10. R. P. Fedkiw, T. Aslam, B. Merriman, and S. Osher, “A non-oscillatory eulerian approach to interfaces in multimaterial flows (the ghost fluid method),” Journal of Computational Physics, vol. 152, no. 2, pp. 457–492, 1999. 11. D. Peng, B. Merriman, S. Osher, H. Zhao, and M. Kang, “A PDE-based fast local level set method,” Journal of Computational Physics, vol. 155, no. 2, pp. 410–438, 1999. 12. D. Mumford and J. Shah, “Optimal approximations by piecewise smooth functions and associated variational problems,” Communications on Pure and Applied Mathematics, vol. 42, no. 5, pp. 577–685, 1989. [Online]. Available: http://dx.doi.org/10.1002/cpa.3160420503. 13. H. K. Zhao, T. Chan, B. Merriman, and S. Osher, “A variational level set approach to multiphase motion,” Journal of computational physics, vol. 127, no. 1, pp. 179–195, 1996. 14. F. Reitich and H. M. Soner, “Three - phase boundary motions under constant velocities.” 1994. 15. C. Samson, L. Blanc-Fraud, G. Aubert, and J. Zerubia, “A level set model for image classification,” International Journal of Computer Vision, vol. 40, no. 3, pp. 187–197, 2000. [Online]. Available: http://dx.doi.org/10.1023/A%3A1008183109594. 16. N. Paragios and R. Deriche, “Coupled geodesic active regions for image segmentation: A level set approach,” in Computer Vision ECCV 2000, ser. Lecture Notes in Computer Science, D. Vernon, Ed. Springer Berlin Heidelberg, 2000, vol. 1843, pp. 224–240. [Online]. Available: http://dx.doi.org/10.1007/3-540-45053-X 15. 17. T. Brox and J. Weickert, “Level set segmentation with multiple regions,” Image Processing, IEEE Transactions on, vol. 15, no. 10, pp. 3213–3218, 2006.
International journal of computer vision, vol. 50, no. 3, pp. 271–293, 2002. 19. I. Karoui, R. Fablet, J. M. Boucher, and J. Augustin, “Variational region-based segmentation using multiple texture statistics,” Image Processing, IEEE Transactions on, vol. 19, no. 12, pp. 3146–3156, Dec 2010. 20. M. E. Leventon, W. E. L. Grimson, and O. Faugeras, “Statistical shape influence in geodesic active contours,” in Computer Vision and Pattern Recognition, 2000. Proceedings. IEEE Conference on, vol. 1. IEEE, 2000, pp. 316–323. 21. M. E. Leventon, O. Faugeras, W. E. L. Grimson, and W. M. Wells, “Level set based segmentation with intensity and curvature priors,” in Mathematical Methods in Biomedical Image Analysis, 2000. Proceedings. IEEE Workshop on. IEEE, 2000, pp. 4–11. 22. S. Chen and R. Radke, “Level set segmentation with both shape and intensity priors,” in Computer Vision, 2009 IEEE 12th International Conference on, Sept 2009, pp. 763–770. vol. 36, no. 9, pp. 1929 – 1943, 2003, kernel and Subspace Methods for Computer Vision. [Online]. Available: http://www.sciencedirect.com/science/article/pii/S0031320303000566. 24. C. T. Tsai, Y. N. Sun, P. Chung, and J. S. Lee, “Endocardial boundary detection using a neural network,” Pattern Recognition, vol. 26, no. 7, pp. 1057–1068, July 1993. 25. D. Magee and B. Leibe, “On-line face tracking using a feature-driven level set,” in British Machine Vision Conference (BMVC’03), September 2003. 26. M. Rousson and N. Paragios, “Shape priors for level set representations,” in Computer VisionECCV 2002. Springer, 2002, pp. 78–92. 27. A. Oktay and Y. Akgul, “Prior information based segmentation: A 3D level set surface matching approach,” in Computer and Information Sciences, 2008. ISCIS ’08. 23rd International Symposium on, Oct 2008, pp. 1–6. contour models,” Neurocomputing, vol. 43, no. 1, pp. 145– 172, 2002. 29. H. Shah-Hosseini and R. Safabakhsh, “A TASOM-based algorithm for active contour modeling,” Pattern Recognition Letters, vol. 24, no. 910, pp. 1361 – 1373, 2003. [Online]. Available: http://www.sciencedirect.com/science/article/pii/S016786550200377X. 30. Y. V. Venkatesh and N. Rishikesh, “Self-organizing neural networks based on spatial isomorphism for active contour modeling,” Pattern Recognition, vol. 33, no. 7, pp. 1239–1250, 2000. 31. M. Abdelsamea, G. Gnecco, and M. M. Gaber, “A concurrent SOM-based Chan-Vese model for image segmentation,” in Advances in Self-Organizing Maps and Learning Vector Quantization. Springer, 2014, pp. 199–208. 32. D. E. Ilea and P. F. Whelan, “CTex - an adaptive unsupervised segmentation algorithm based on color-texture coherence,” Image Processing, IEEE Transactions on, vol. 17, no. 10, pp. 1926–1939, 2008.
and Security (CIS), 2011 Seventh International Conference on, Dec 2011, pp. 1159–1163. 34. S. Balla-Arabe, X. Gao, and B. Wang, “A fast and robust level set method for image segmentation using fuzzy clustering and lattice boltzmann method,” Cybernetics, IEEE Transactions on, vol. 43, no. 3, pp. 910–920, June 2013. 35. M. Everingham, , S. M. A. Eslami, , L. Van Gool, C. K. I.Williams, J. Winn, and A. Zisserman, “The PASCAL Visual Object Classes Challenge: A Retrospective,” in International Journal of Computer Vision, vol. 111, no. 1, pp. 98-136, 2015. 3D reconstruction has been a fundamental subject in the field of computer graphics and computer vision. This paper provides a systematic survey of advance systems of real-time indoor scene reconstruction by using RGB and Depth camera including Kinect fusion, Kintinuous and Elastic fusion. We also evaluate their performance for the 3D reconstruction and camera trajectory estimation using two standard scene reconstruction datasets, namely the TUM benchmark dataset and ICL-NUIM dataset. Test results show that both Kintinuous system and Elastic fusion system provide good performance compared to the classic Kinect fusion system. © Anita Publications. All rights reserved. 1. Jebara T, Azarbayejani A, Pentland A., IEEE SIGNAL PROC MAG, 16(1999)66. 2. Newcombe, Richard A., et al. ISMAR, 10(2011)127. 3. Low KL., TR, 4(2004)4. 4. Whelan T, Johannsson H, Kaess M, Leonard JJ, McDonald J., INT J ROBOT RES, 34(2015)598. 5. Roth H, Vona M., BMVC, 20(2012)1. 6. Whelan T, Leutenegger S, Salas-Moreno RF, Glocker B, Davison AJ. INT J ROBOT RES 11(2016)29. 7. Rusinkiewicz S, Levoy M., 3DIM, 21(2001)145. 8. Curless B, Levoy M., ACM, 23(1996)303. 9. Liu R, Hampshire B, Asari VK., SPIE, 9869(2016)98690J. 10. Steinbrücker F, Sturm J, Cremers D., ICCV, 3(2011)719. 11. Gálvez-López D, Tardos JD., IEEE Trans Robot, 28(2012)1188. 12. Kaess M, Johannsson H, Roberts R, Ila V, Leonard JJ, Dellaert F., IJRR, 31(2012)216. 13. Chen J, Bautembach D, Izadi S., TOG, 32(2013)113. 14. Pfister H, Zwicker M, Van Baar J, Gross M., ACM, 1(2000)335. 15. Glocker B, Shotton J, Criminisi A, Izadi S., IEEE Trans Vis Comput Graphics, 21(2015)571. 16. Sturm J, Engelhard N, Endres F, Burgard W, Cremers D., IEEE IROS, 7(2012)573. 17. Handa A, Whelan T, McDonald J, Davison AJ., IEEE ICRA, 31(2014)1524. Scene sketch generation is useful for non-photo realistic renderings, and digital entertainment.Recently, computerized sketch generation from digital images for objects, faces, and materials picked up considerable interest and applications are found in law enforcement, image based stylization, and other preliminary tasks such as segmentation that are required to perform pattern recognition. In this work, we utilize multiscalestructure tensor based approach that works well in capturing salient boundaries and provides visually pleasing sketch results. Experimental results on two different datasets indicate the usefulness of our proposed approach. © Anita Publications. All rights reserved.